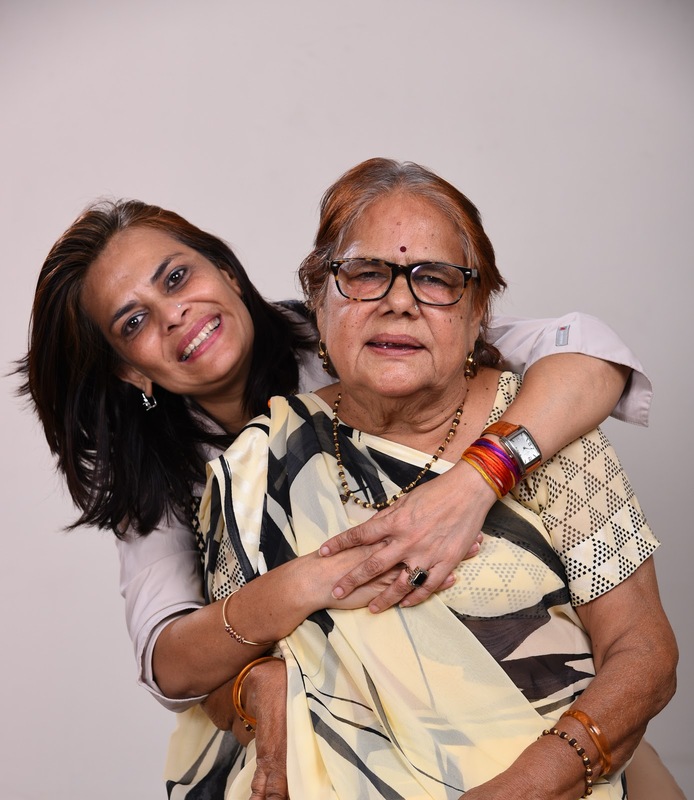 A mother and a daughter bond is always special but we rarely come across stories that move us beyond words. 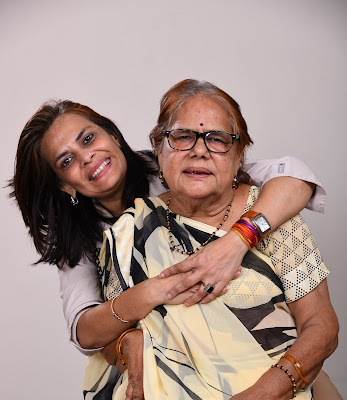 On this Mother's Day we are sharing story of Sapna Sukul and her mother and their journey. 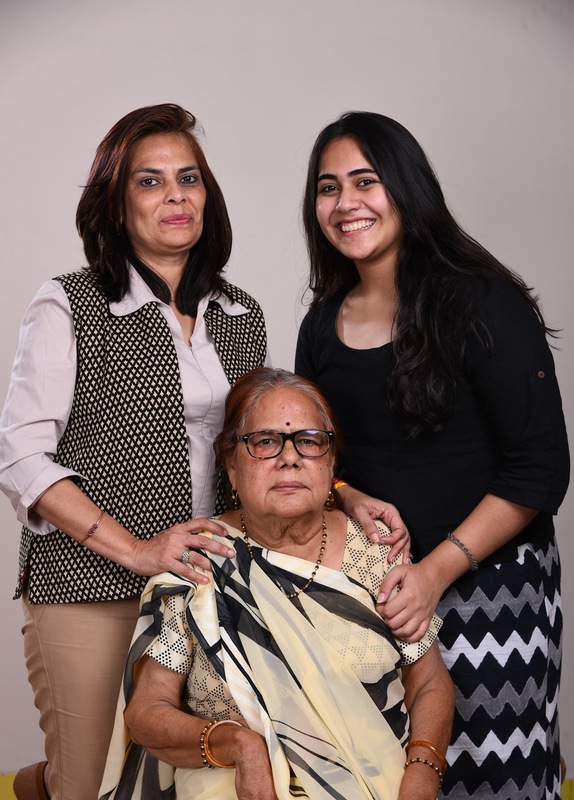 For major part of Sapna's childhood her mother was extremely unwell but despite her illness she made sure that both her kids excel in studies and make a name for themselves. Today Sapna is associated with Sparsh, an NGO by Marvel Group and the aim of the organisation is to empower the children having special needs with the necessary skills so as to enable them to lead a normal life. 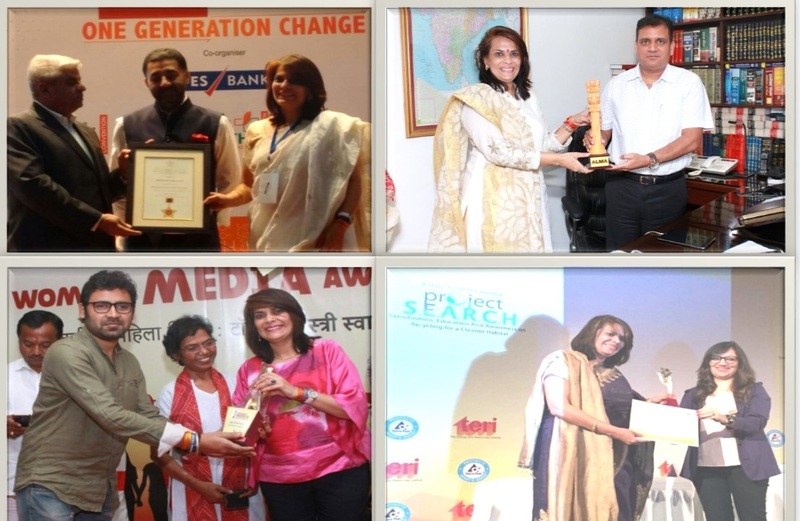 For past 20 years Sapna has been associated with education sector and has worked across many NGO's. Throughout her career she has made a special effort to promote the cause of special need children. Sapna and her mother story is truly inspirational and teaches us that despite all the odds, if we believe in something we can achieve it. We salute the spirit of Sapna mom's and also Sapna's dedication towards her field of work despite having so many personal responsibilities. I belong to a small town MHOW, near Indore, studied in a convent, the values imbibed have made me what I am today. I have done my Post Graduation in English Literature . I am married to a Naval officer (Husband- Shantanu Sukul) and we have two children Son- (Ishan Sukul) and Daughter (Saloni Sukul). I have traveled all over India and worked as an educator in Mumbai, Vishakhapatnam, Wellington (Nilgiris) and Delhi. 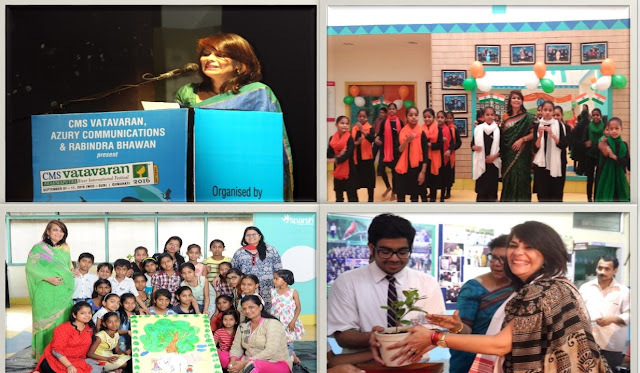 I started my professional journey as a class teacher, worked as a creative Director, an Environmentalist and Director of an N.G.O "Sprash" for Special Need Children and currently also working as a consultant for the British Council Programs . I like to travel, explore opportunities , work on challenging projects and bring a change for good in any place I work. What is Sprash and how are you contributing to it? Sparsh is an NGO promoted by Marvel Group and comprises of Mother’s Pride and Presidium. It has been substantially working for the welfare of children with special needs and the destitute through various initiatives and projects. With Sparsh, I have started as Director and taking it to greater heights by providing them the best of everything - education, co-curricular activity and visibility. I also run projects for underpriviledged students - Udaan and Shakti for girls. I got our students enrolled under health insurance coverage and ensured their treatments are at no cost to their families. Considering that your mother was in poor health ever since your childhood, was it always difficult to cope with situation at home and also concentrate on studies? It must have been difficult for your mother to manage all the work that involved sending 2 small kids to school? My mother has raised both my brother and myself with hardship as she was paralysed at the age of 28 when I was 7 years old and my brother was 4. The medication was expensive and harsh as she regained consciousness after 4 days, It was a sight, which can never be erased. My mother had lost her speech, her right hand and left leg were paralysed with no movement at all. It took 6 months to start making progress. However, year after year her health was deteriorating; we both were brought up by my father who was the pillar for all of us. When all my friends in school had mothers who taught them, here I was struggling to see that my mother barely survive, while my little brother continuously cried to be in his mother’s arms. Though we had the support of both our paternal and maternal grandparents as well as the extended family, the onus of raising us was upon my father. My mother always ensured that we both get the best education. I was sent to the St. Mary's convent school while my brother was sent to the renowned Public school, ‘Daly College’ Hostel in Indore for which she had to go through lot of hardships to make it possible. She struggled with her daily life but spent quality time with us. Seeing this struggle to complete our daily chores became a big challenge for my parents. My father practised Law off and on as he could not totally concentrate on it due to her paralysis. She had two more strokes, which meant he had to be with her. She was a fighter and to keep herself busy, she started her tailoring and garment business. She was an expert in stitching & designing and gave directions to all her tailors . Her business was booming and she started getting orders in bulk. We were blessed with ancestral assets which through the rental income helped us in maintaining our standard of living. I was married in 1991 into a very respected and eminent family. I started organizing garment exhibitions in Mumbai which were sent by my mother on monthly consignments. But again destiny had some other plans as mother had just barely recuperated from breast cancer in 1989 and what followed in 1994 was that her gall bladder was removed. Her health did not permit and she had to close down her business. My brother meanwhile joined Merchant Navy cleared his masters certificate and settled in London with his wife with two kids. Year after year I always learnt from mom & dad to be positive and never give up in life. I started teaching and was blessed with two adorable kids by then. I feel each year I have been growing in my career. When I started teaching in Delhi I worked hard and along with my teaching career. I became the British Council consultant I was into training which gave me chance to travel in India and abroad. The biggest achievement was when I made a small Tetra Pak recycling project as a mass movement in Schools, colleges, Armed forces messes, hospitals where a small tetra pak cartons were recycled and made into different products such as School benches which were donated to Government and underprivileged students. I visited Uttarakhand all alone after the cloud burst. I interviewed some villagers to help them raise funds for their for their sustainable livelihood, rather than waiting for Government aid. The experience helped me grow as a human being and to do things that will bring out a change in the mindsets. I also feel that every project can be successful if you put in your best. Side by side I got an opportunities to work as an educator and consultant with many renowned organizations and collaborated with Schools abroad for learning best practices. I have also worked with environment groups Teri (with climate reality project), CMS Vatavaran, WWF etc. Your childhood was very different compared to others so was it difficult for you to comprehend the whole situation, can you describe a bit about your bonding with your mother. Yes , It was difficult at times to see her struggling. Ironically my father also suffered a stroke in 1992 just a year and half after my marriage. Working with Special school children at Sparsh brought back my childhood memories and I have left no stone unturned to help them to give the best. I am blessed to work for special students and working students from higher strata, lower strata of society. All awards and recognitions make you feel happy. The true happiness is when the task you take on is accomplished and make a difference in someone’s life. The challenges are not many if you think of it, it’s how you take it . The only challenge I always face is to keep my spirits high all the time whatever turmoil I am facing. One should not let it affect your work. At times to look after mom leaving my work and being with her. I have been admitted in almost 20 hospitals along with her till date and worked from hospitals. Sometimes, it’s challenging to balance so many aspects. As a working mother my advice to my children is do not cheat yourself in whatever you are doing. Do the best and above all just be a good human being, Rest everything will follow. My son who is a financial consultant today and my daughter is pursuing B.com honours from Delhi University both are very balanced & grounded. My advice would be initial years of your career, try to do your best at what you get but further keep exploring what you like and follow your dream till your passion becomes your profession. Please support this noble cause to motivate other girls and women to try their chosen career path. Never give up and excel in whatever you dream, never deceive, read a lot . What a wonderful display of passion and commitment! Nice write up on Mother's Day. Congrats and best wishes Sapna Sukul. How nice of you to get health insurance of the under previlged children. 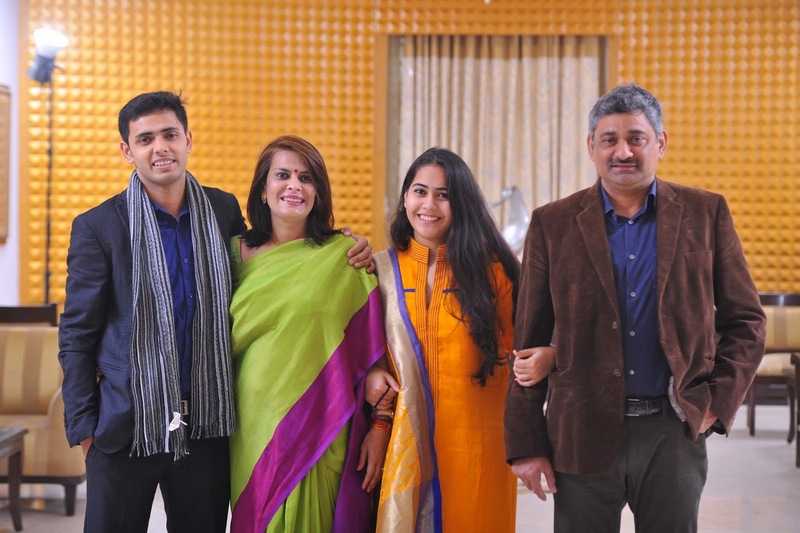 Hope Sparsh keeps growing with its two daughters: Udaan and Shakti!. Very important to have such inspirational stories highlighted! This is truly amazing! Great going Sapna! Wish you the best of everything! Great achievement Sapna! You carry heavy burdens with a huge smile. May great things happen to you. Wishing you and your mother the very best on this special day. Congratulations Sapna!Great achievement on a special day. Keep scaling greater heights. All the best for your future endeavours. Congratulations Sapna...your positive attitude, warmly compassionate nature and go- getter spirit have won you not just accolades on the professional front...but also many, many friends along the way! May you continue to spread joy wherever you go and move from strength to strength! Dear Sapna, the story is truly inspirational...not just that, your presence gives very positive vibes to people around...wishing you achieve all that you aspire!! 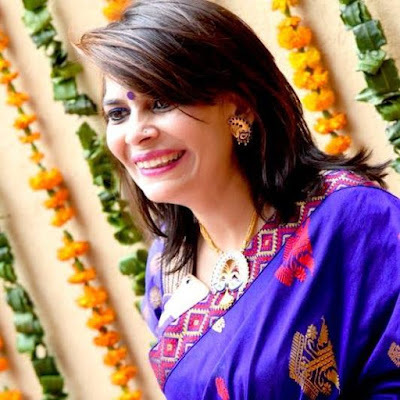 Dear Sapna thanks for sharing such an inspirational story. Wish you all the more success and happiness. Congratulations Sapna. Highly inspiring story. You have proved that nothing can stop a person from going that extra mile to achieve one's aspirations. Wish you all the best. Keep it going! Congratulations Sapna.Truly inspirationAl story. Your commitment and passion have paid off. Wishing you much more success in life. Ma'am this is an amazing share.you are such an adorable person vibrant and full of life.